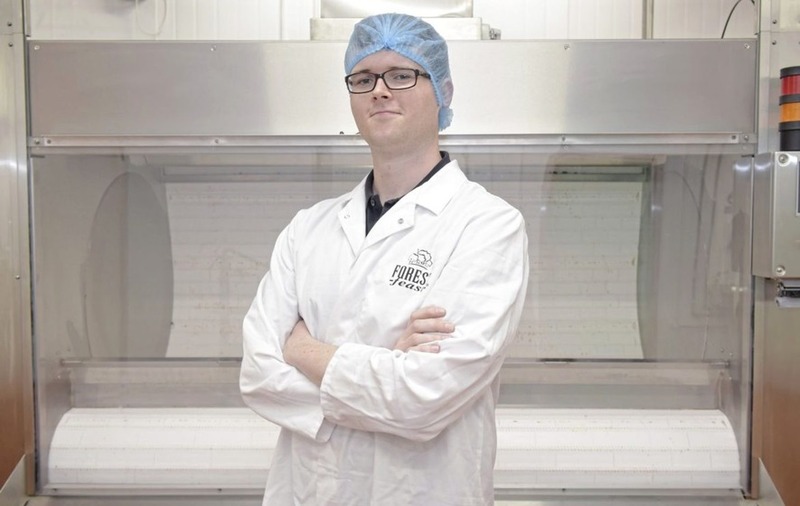 A CRAIGAVON-based food business which produces a premium range of dried fruit and nut snacks has said it is confident of reaching sales of £20 million by 2020 as part of an innovation-led development strategy. Kestrel Foods, a family run business that exports to 35 countries, has just invested £2m in a new factory and industry-leading coating machine, specifically designed for the coating of dried fruit and nuts, to facilitate new product development and anticipated increases in production levels. The company, which operates from an industry-leading plan at Carn business park in Portadown, has also invested in new marketing collateral including a new website. The announcement came as the business, founded by husband and wife Michael and Lorraine Hall 21 years ago, revealed sales had risen from £14.2m to a record £16.6m for the 12 months to April. Employment levels during the same period grew from 72 to 89 including the creation of key roles of general manager and R&D manager. Earlier this year the local food industry was stunned to learn of the sudden death of Lorraine Hall after a short illness. She had been an inspirational driving force in the business and had a particular passion for building its brands, Forest Feast and Acti-Snack. Kestrel Foods' financial controller Lorraine McAfee said the £2m investment would help reinforce the development of the company's Forest Feast and Acti-Snack brands locally, nationally and internationally, adding that the firm is well placed on its journey towards achieving £20m of sales by 2020. “This past year has been exceptionally encouraging from a sales point of view with particularly strong growth in GB, driven in part by an increased focus on the food service sector," she said. The company's award-winning portfolio comprises more than 160 unique flavour combinations and exports to countries including Hong Kong, Norway, Denmark, Iceland, America and the Middle East. Kestrel Foods' customer base includes retail, foodservice, e-commerce and travel retail as well as supplying retailer private label. Managing director Michael Hall said the success of the business, which marked its 21st anniversary this year, was down to the culture of innovation, creativity and speed to market underpinned by the quality of its ingredients achieved through strong relationships with suppliers and growers worldwide. “This hands-on experience of the different characteristics of nuts, fruit and seeds from various, often vastly dissimilar growing regions ensures that the final consumer product is always second to none. In recent years Kestrel Foods has won a number of high profile accolades including: Ulster Grocer best new product launch, Viscount Awards best SME and Gold Standard Deloitte Best Managed Companies.